Revolutionising the vegan chocolate bar. At Doisy and Dam, they wholly reject the idea that healthy chocolate equates to boring chocolate. 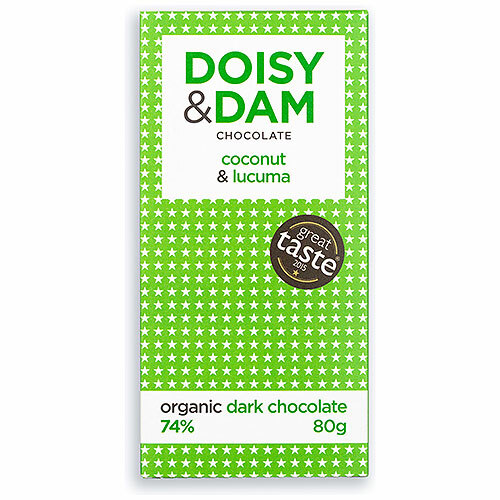 They use sweet coconut and naturally caramel flavoured lucuma to create these rich and exotic, but organic and healthy chocolate bars. 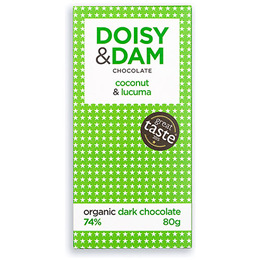 Below are reviews of Doisy & Dam Coconut Organic Dark Chocolate - 80g Bar by bodykind customers. If you have tried this product we'd love to hear what you think so please leave a review. Very nice & I find suitable for dairy intolerant in a small amount. Revolutionising the vegan chocolate bar. At Doisy and Dam, they wholly reject the idea that healthy chocolate equates to boring chocolate.